Mini bears sandwiches (stacked), cut and stamped. Organic apple sauce in mini dipper, a spoon and a fig bar cut into half. Cute bears! I hope Nikolai hv a great field trip! Love the cute bears! Where can I get the cutter? Thank you Cindy! 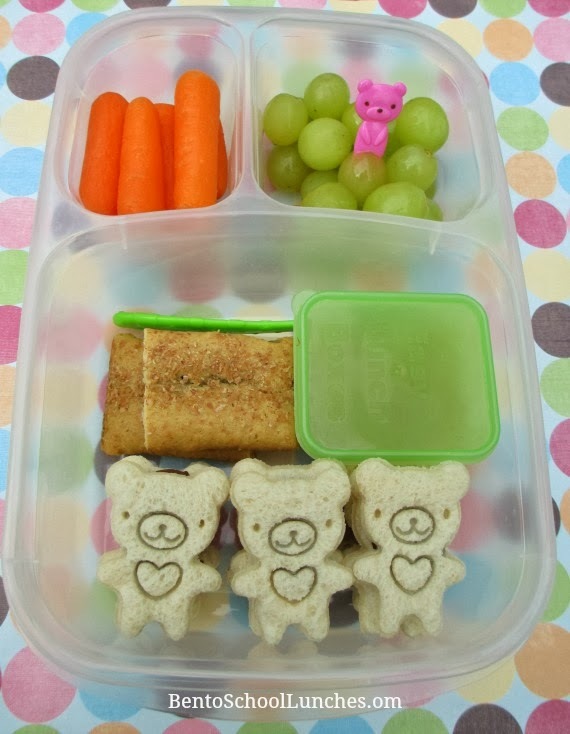 I purchase ours from Bento USA, you can find the affiliate link on this post under supplies I used to make this lunch. What a cute lunch! I hope he enjoys his field trip. This looks great! Hope he had a great time!